If you’ve been searching for a dramatic setting a diamond engagement ring, you should definitely consider a tension setting. What is so exceptional about a tension engagement ring? 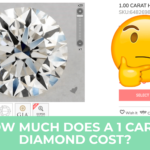 Most diamond engagement rings have a traditional setting, whether it’s a solitaire ring with just one stone, or it involves a center diamond with smaller stones around it. If you look closely you will see tiny little clasps, prongs or baskets that secure the diamond(s). You can easily see how the larger center diamond is held in place. Tension set rings do not use clasps, prongs or baskets to hold the diamond(s) in place. Rather, the design of the ring itself, especially the band, is what holds the diamond securely. For example, when you hold something tightly with your forefinger and thumb, the tighter you pinch the item between your fingers, the less likely you are to drop it. 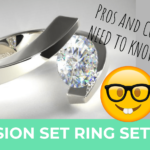 Do not confuse tension set rings with tension-style rings, however! 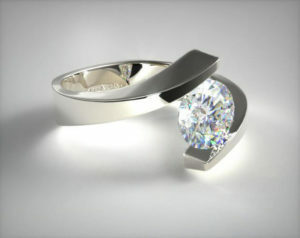 The latter adds a metal band to surround and secure the diamond. Tension-style settings are easier to make and sold for less money than an authentic tension ring setting. 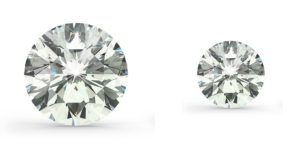 Admittedly, a tension-style setting will hold a diamond more securely, but that should not be the deciding factor since a tension setting will secure a diamond perfectly well. 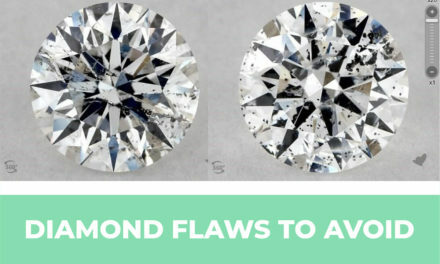 What keeps the center diamond from falling out? The diamond in a tension setting is kept in place due to the tension exerted between the two sides of an opening in the band. This is where the diamond is set to showcase it. 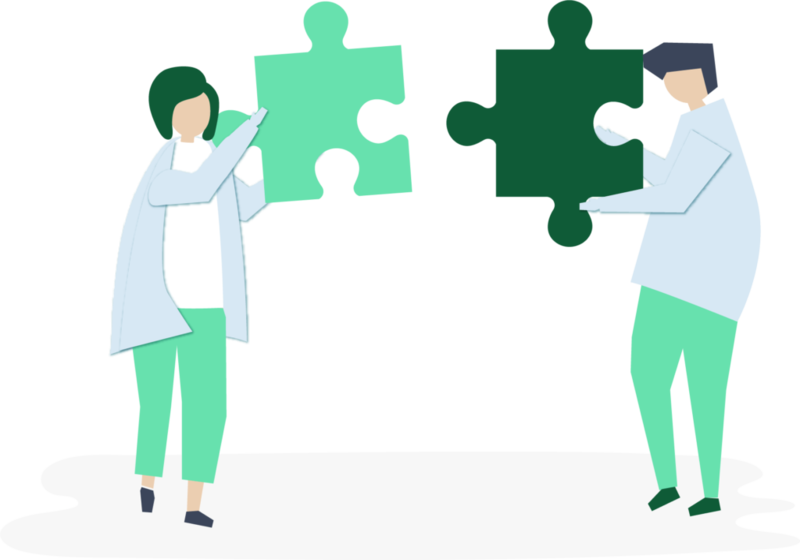 The two sides act like a clamp, securing the diamond in place. Tensile force cannot be seen since there are no clasps, prongs, basket or metal strip around the diamond. All that’s holding it in place is the tension between the two sides of the band. It looks as if the diamond is “floating” in space, which makes a tension engagement ring so incredible. The main advantage is that when you have a tension set ring, nearly the entire diamond is on display and can clearly be seen. 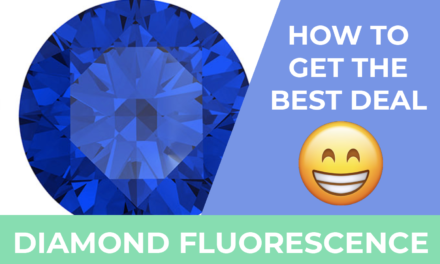 More light enters the diamond, which allows it to sparkle at full capacity. 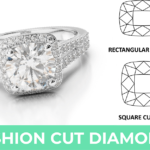 This being the case, when you have a tension setting, it is more important than ever to have the right diamond shape and cut for the setting. 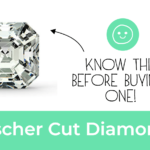 What works best are princess cuts, emerald cuts, and round cut diamonds. Another advantage is that a tension set engagement ring will attract a lot of attention because they look so unusual and dramatic. 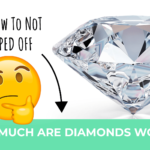 People love trying to figure out how the diamond stays put and this usually becomes the topic of conversation. 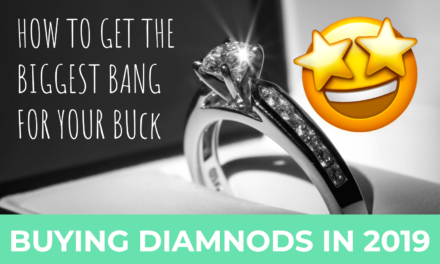 The types of metals commonly used to set diamonds can easily be used in creating tension engagement rings. These include white gold, platinum, yellow gold, palladium and sterling silver. Tension settings work great with pear-shaped diamonds and ovals. When we gain or lose weight our finger sizes reflect this. Our fingers can change in size when we get older as well. Tension set wedding rings are very hard to resize compared to other settings. The entire ring is designed to fit the owner’s finger and to showcase the size and shape of the center diamond. However, it is not impossible to resize a tension set ring. You cannot take it to any random jeweler and expect them to resize the ring. It takes a specialist, so it will be more expensive to resize a tension set engagement ring. A tension set stone is slightly less safe compared to stones in other types of settings. 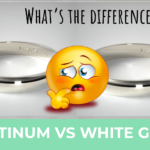 This can become concerning to the jewelers who make and sell tension set rings. The stones in these settings have a relatively good safety record because the main stones won’t easily fall out. However, no special tools are needed if someone wanted to remove the stone intentionally. 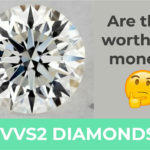 Customers who complain to their jeweler about a lost diamond can be a major problem. 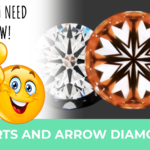 In order to sell a ring made with a tension setting the jeweler would need to provide a warranty, but there is no way for them to screen for honesty. This means there is a risk that a certain percentage of customers who buy tension set rings may be fraudsters. A diamond engagement ring is incredibly eye-catching in a tension setting since this style maximizes the brilliance and sparkle of the center diamond. However, smaller diamonds tend to look tinier in a tension ring setting. This is especially true if a softer metal were used for the band because a band made of softer metal would need to be fairly thick to create the necessary tension. If titanium is used in this type of ring setting, the effect may be lessened since the band could be made thinner. Who originally developed the tension ring setting? 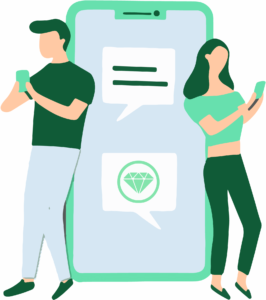 The design for tension set engagement rings has been around since the 1960s, however it wasn’t until 1979 that the first one was put on the market. Friedrich Becker came up with the original concept when he worked for German company Niessing. The rings that came out early on were quite bulky since they had to exert enough pressure to ensure that the stones stayed in place. Steven Kretchmer, an American jeweler, created a less bulky version by using a harder metal that would create enough tension to keep the stones in place. While the “Niessing Spannring” was the very first version and put on the market in 1979, tension set rings didn’t become popular until the 1990s. Kretchmer’s idea to use harder metals allowed tension rings to be made that were far less bulky, but with enough strength to secure the diamond in place. An exquisite design, great craftsmanship and a stunning stone are essential if you want to create a truly spectacular tension engagement ring. 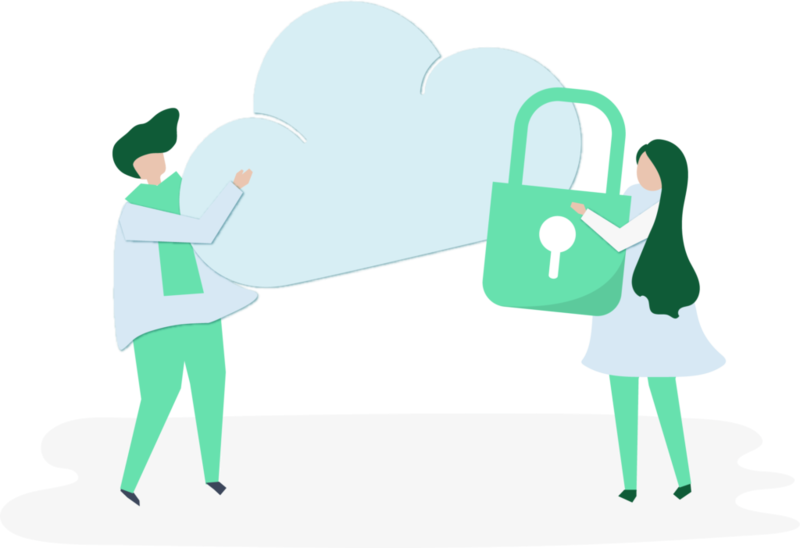 Modern tension settings often appear as one-of-a-kind designs. There are a number of different metals to choose from when creating a tension ring setting, including platinum, white gold and yellow gold. 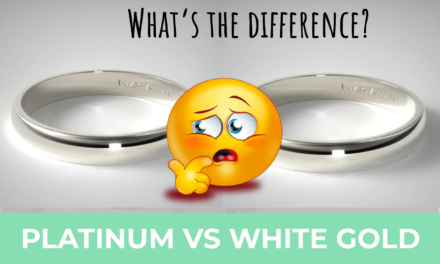 If you are looking at engagement rings and holding out for something that will attract a lot of attention, why not look at tension set engagement rings? People never cease being fascinated, wondering how the diamond can seem to be “floating” in air. 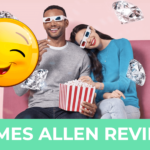 A good place to look for inspiration is James Allen. If you would also like to consider other ring styles check out my ring setting guide.